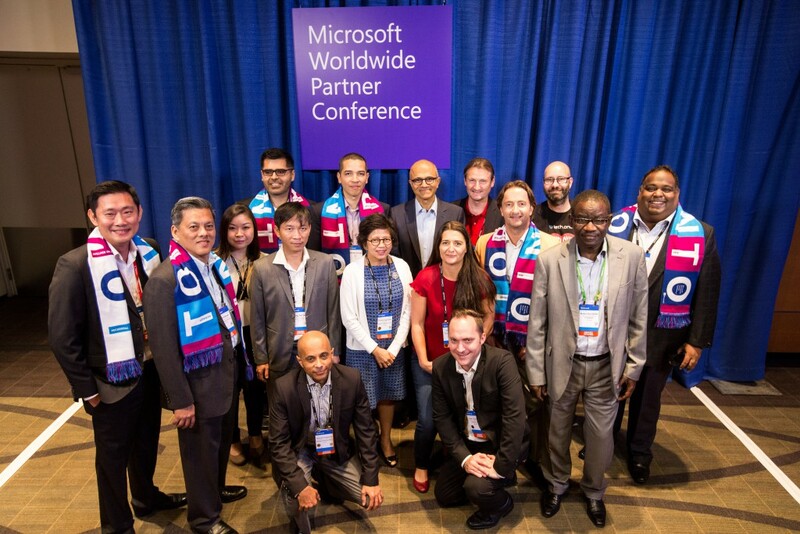 Microsoft held it’s annual Worldwide Partners Conference in Toronto, Canada this month. The event is held yearly to appreciate the efforts of it’s partners in delivering Microsoft Services around the world. Microsoft Partners in Africa have ben honoured locally and internationally by the Microsoft teams in Africa and Redmond. There was the Worldwide Partners Conference and the Hounouring Our Partners Awards ceremony held in Lagos. “These partners and their award nominations were truly exceptional, and their accomplishments should be viewed as examples of excellence for every Microsoft partner. Their achievements have enabled clients to perform sufficiently and have given a unique level of autonomy to businesses that was just not possible before,” says Amr Kamel, General Manager (acting) for Microsoft WECA. SOFTNET has been working with Microsoft in improving the e-gov project with the EPG team. They also worked with the EPG team in the SIGU project. INOVA specialized in software development, system integration, networking infrastructure and Training. INOVA have been a Microsoft Certified Partner and training center (CPLS) since 2004. They are the first gold partner in The Cloud productivity in Cote d’Ivoire. Business Connexion Namibia (Pty) Ltd continuously use Microsoft platform products and solutions to build innovation ICT solutions for their customers. Partners such as Business Connexion play a vital role in growing Microsoft’s footprint in countries such as Namibia through their focus Microsoft approach. Signal Alliance are the most Cloud Competent partner in the ecosystem, accomplishing 1 Gold Cloud and 2 silver competencies this year. In FY16 they displayed a high level of commitment to our Cloud Transformation Journey, which is evident in their performance till date. Through consistent and strategic customer Engagement, Dimension Data have been able to “win over Rwanda as a country”. Working together with Microsoft, Dimension Data closed the 1st ever full Cloud banking deal in Rwanda, Bank of Kigali. Dimension Data is currently also engaged in the deployment of Office 365 Edu at the ministry of Education. A large transformative project that will impact millions of students. FTF is a solutions provider in complementary areas of computing covering cloud services, the design and the implementation of Basic Infrastructure services, infrastructure services supporting productivity, infrastructure services supporting the application platform, security, training, and support. Dimension Data has shown key strengths in understanding the Tanzania market therefore selecting strategically which sectors to play in. Dimension Data has been able to achieve significant progress in positioning additional products like share point. The Microsoft 4Afrika team received a special award for their contributions in upskilling interns and facilitating the MySkills4Afrika volunteer programme to bring skills from across Microsoft into Africa. Finally, VeriPark received the General Manager Award for their partnership with Microsoft in developing products that drive great service and meet customers’ business needs.